Pro + Blood Therapy is the ideal, natural remedy to help cleanse the blood of toxins. This product is high in minerals, vitamins, as well as trace elements that help cleanse the blood and treat a lot of all over skin problems. It is also recommended for dogs with high levels of glucose in the blood because Pro+ Blood Therapy will help their blood become less sticky and stagnated. 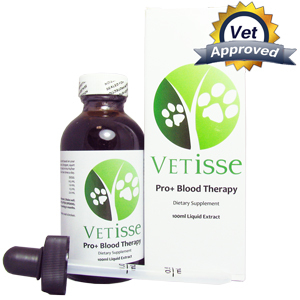 Pro + Blood Therapy is an oral product that can be given in food or directly into the pet. Once you have opened Pro + Blood Therapy be sure to refrigerate this remedy. Provide your pet with this oral remedy twice a day; the dosages are according to your pet’s weight. 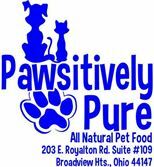 If your pet is between 0 to 25lbs the dose is 0.5ml. If your pet is between 26 to 50lbs the dose is 1.0ml. If your pet is between 51 to 75lbs the dose is 1.5ml. If your pet is over 76lbs the dose is 2.0ml. Do not give this product if your pet is pregnant.